IT Securely available anywhere, anytime. Business process outsourcing, database consolidation, server consolidation or visualization are all strategies which will make a difference to the way your business operates. However, they can only be effective if your employees know how to use the tools. Being able to integrate these tools seamlessly in their day to day activities is essential ls essential to its success. The last thing you want is time consuming distractions caused by IT issues. 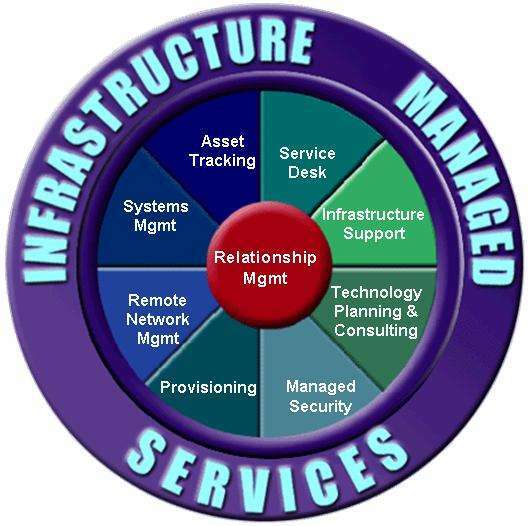 Our managed IT services are a bundle of pre-designed solutions taken from our managed services portfolio. They help you address common IT requirements and issues, ranging from access, connectivity and Internet solutions, to email, applications, data recovery and service management. Each bundle is designed to be flexible and modular, so you can choose as many or as few as you want. They will help in various areas: perhaps your employees are still spending too long sorting matters such as virus protection on mailboxes, email access over the web. There may be wider issues: flexible work, working from home securely, remote support, continuity of connectivity or security problems regarding data files. There are many potential benefits: you will be better able to manage your costs, and your critical IT systems will be secure and available. Regular backup of your data means you can recover the information you need – and it is up to date. Your systems are all running on service level agreements that you are happy with, and with fewer IT issues your staff will now be able to work more productively.